What's Poppin' Tonight! 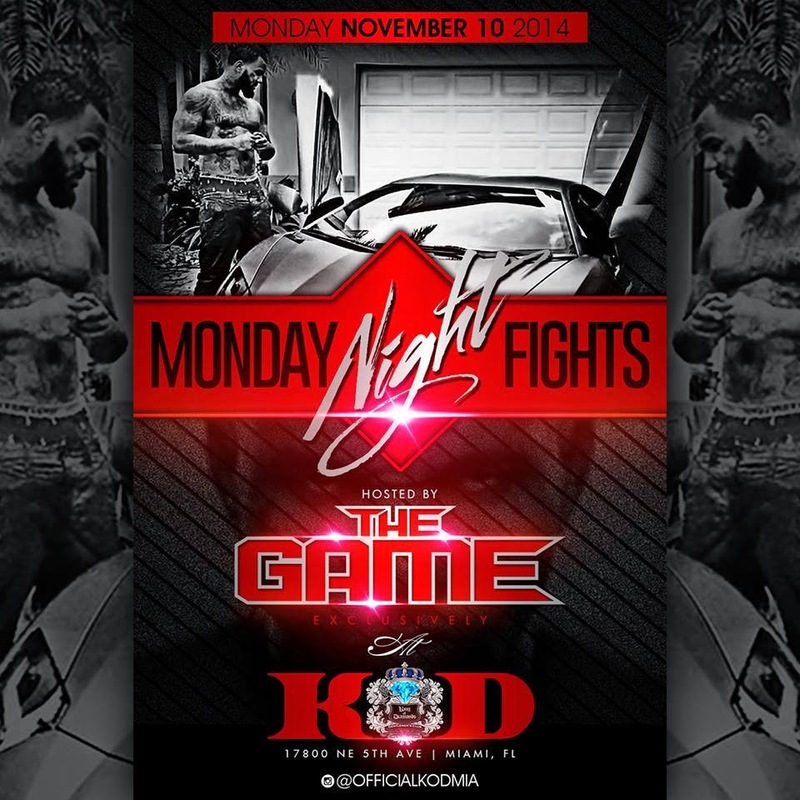 King Of Diamonds Miami presents Monday Night Fight Night Hosted by The Game Live + More at King Of Diamonds ~ Phresh Hott New! Tonight! King Of Diamonds Miami presents Monday Night Fight Night Hosted by “The Game” Exclusively + more at King Of Diamonds Gentlemen's Club. Featuring over 200 Dancers + Special Celebrity Guest.